Eaton’s Hunter Frost puts up a shot during the first half of the Eagles game with Franklin on Friday, Jan. 11. Frost scored 11, but the Eagles came up short to the hot-shooting Wildcats, 91-49. Eaton’s Dylan Jackson drives to the basket during the Eagles SWBL game with Franklin on Friday, Jan. 11. The Eagles couldn’t match the hot-shooting Wildcats, who were 14-of-28 from 3-point range, in a 91-49 loss. 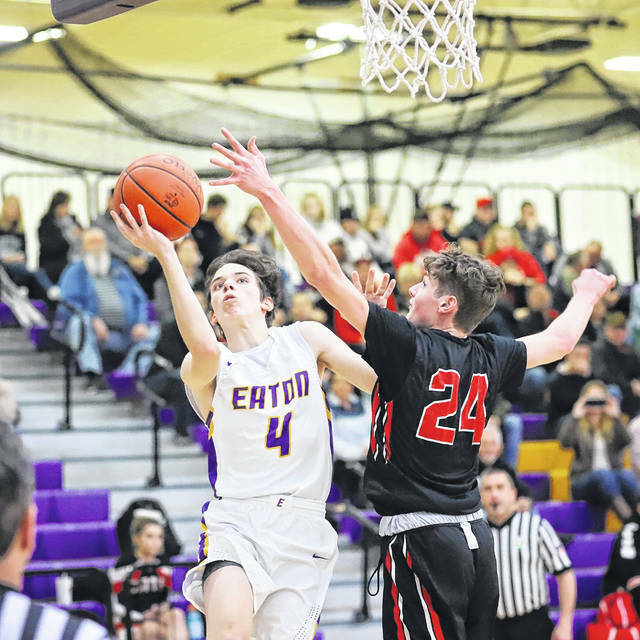 EATON — Eaton’s varsity boys’ basketball team split a pair of Southwestern Buckeye League matchups this past week. The week’s action included a road win over Valley View, 56-49. The Eagles opened the week on Tuesday, Jan. 8, defeating the Spartans to pick up their fourth win of the season. After falling behind in the opening period, Eaton got the offense on track, outscoring Valley View 19-11 in the second quarter. The Eagles took a 27-24 lead into the halftime locker room. The Eagles grabbed the lead for the first time at 18-17 with 4:40 left in the second and never trailed again. Eaton begin the second half with a 7-0 run for a 34-24 lead. The Eagles led by as many as 12 points (40-28) in the second half. The Spartans trimmed the Eaton lead to 47-44 with 4:13 remaining, but never got any closer. Valley View made a run in the fourth quarter, but Eaton was able to hold on. Isaac Manning led the Eagles with 22 points, with James Howard adding 13. Hunter Frost pulled down seven rebounds and had five assists to go along with seven points. On Friday, Eaton hosted Franklin, dropping that game 91-49. Eaton ran into a Wildcats team that was “hot” from the perimeter. After a close opening quarter, Franklin hit six 3-pointers in the second period to take control of the game. The Wildcats were 14-of-28 from 3-point range. 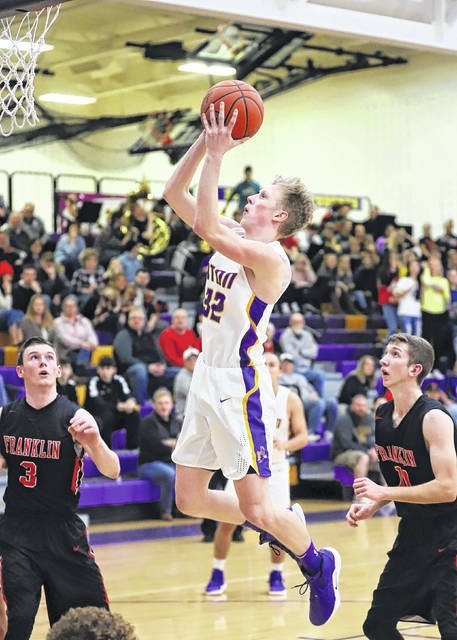 Will Emrick led Franklin with 39 points, going 11-of-18 from 3 and 12-of-19 overall. “We played well through the first quarter, with the score 18-15. They outscored us by 11 in the second quarter hitting six, three point shots. Franklin opened the second quarter with a 7-0 run for a 25-15 lead. After an Eaton basket made the scored 25-17, the Wildcats made four straight three’s to take a 37-17 lead and led by as many as 22. Eaton ended the quarter with an 11-6 run to trim its deficit to 46-32. “Our problems continued into the third quarter with us only scoring five points,” Shepherd added. Franklin scored the first 13 points of the quarter to take a commanding lead, 59-32, with 5:44 to play. Manning again led the team with 14 points. Frost added 11 points. 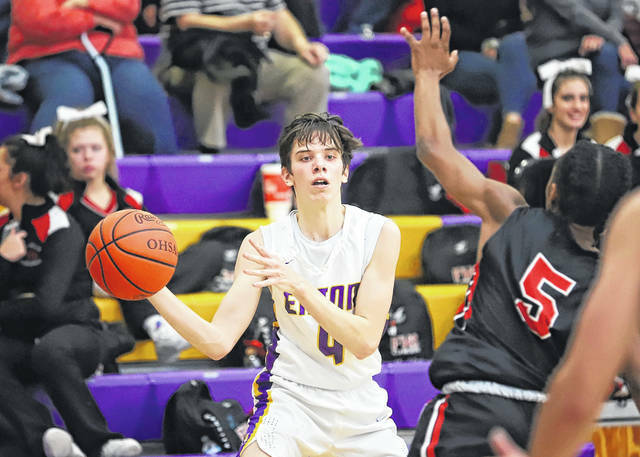 Eaton (4-9, 2-4 SWBL) was scheduled to travel to league-leading Brookville on Tuesday, Jan. 15. They will stay at home on Friday against Oakwood. 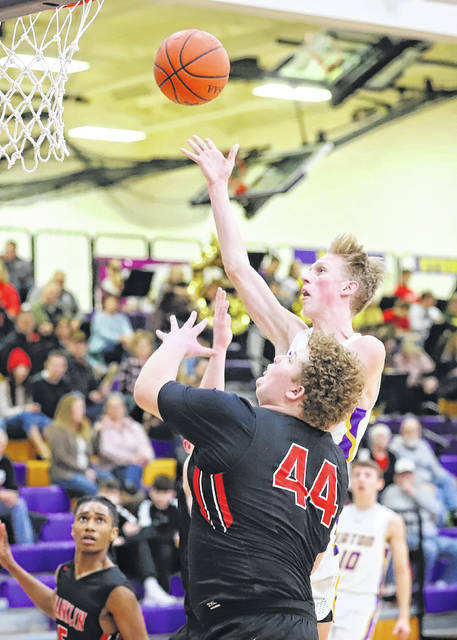 https://www.registerherald.com/wp-content/uploads/sites/41/2019/01/web1_EATON-BB-1.jpgEaton’s Hunter Frost puts up a shot during the first half of the Eagles game with Franklin on Friday, Jan. 11. 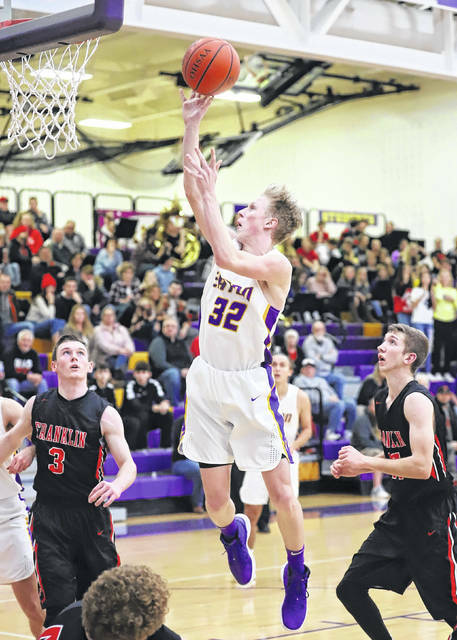 Frost scored 11, but the Eagles came up short to the hot-shooting Wildcats, 91-49.
https://www.registerherald.com/wp-content/uploads/sites/41/2019/01/web1_EATON-BB-5.jpgEaton’s Dylan Jackson drives to the basket during the Eagles SWBL game with Franklin on Friday, Jan. 11. The Eagles couldn’t match the hot-shooting Wildcats, who were 14-of-28 from 3-point range, in a 91-49 loss.